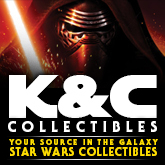 K & C Collectibles has posted some new Star Wars pre-order items this week along with some specials. To celebrate the 30th Anniversary of the Empire Strikes Back order your box of 3D widevision trading cards at a special price. Three new sets are on their way to fill your Lego Star Wars collection. The Rebel Trooper and Snowtrooper Army Packs each come with minifigures as well as a vehicle or battle station for them to use, and are listed at $14.99 each. The ARC-170 is listed at $84.99 and includes Kit Fisto, an R2 unit and two Clone Troopers. Check it all out here. Thanks to eBay seller Star Wars Army Store, we are treated to a couple new images of one of the more desirable figures from the upcoming box sets from The Force Unleashed. Head on over to theforums for a closer look. Just a friendly reminder that you can follow our news updates on Twitter and Facebook. In doing so, you’ll receive advanced previews of our Toyguide updates, breaking news as it happens and soon, you’ll be able to win prizes/contests through Facebook exclusive giveaways. Join today! Star Wars: The Clone Wars returns tonight with the eagerly anticipated all-new episode “The Mandalore Plot”. While investigating rumors of conspiracy surrounding Duchess Satine of Mandalore, Obi-Wan uncovers the truth about a mysterious Mandalorian plot. Remember, you’ll get your chance to claim Sideshow Collectibles’ Exclusive Gandalf the Grey Premium Format Figure for yourself during the Priority Pre-Order event today, Friday, January 29th at 10AM (Pacific Time). Availability will be limited, so being at the PPO event right when it opens is a must! JediNews has revealed an advanced look at the first wave of relaunched “Vintage Collection” figures for 2010 with Bespin Luke, Leia Organa (Hoth Gear), Dengar and AT-AT Commander kicking things off. Head to our forums to discuss this new news from the UK Toyfair! Gentle Giant has sent out their February newsletter and they’ve officially announced two upcoming Star Wars items to be released later this year: the Slave Leia Animated Maquette and Darth Revan Mini Bust. Head to the forum for the full details on the latest offering from Gentle Giant! Rebelscum has updated with some new info regarding Hasbro’s worse kept secret, the new AT-AT. This new eyewitness report seems to confirm our initial rumor report regarding many of features of this highly anticipated piece. Head on over to Rebelscum for more. Frank D. from NiubNiub’s Universe has passed on to us word that the step-by-step set of instructions and decals for the huge Death Star/Falcon Docking Day diorama are now available so you can build this impressive display for your collection. Head on over for the full details. The Yakface Toyguide updates resume today with the addition of the tactical droid Commander TX-20 from season one’s Clone Wars episode: Innocents of Ryloth. Head to the toyguide for the full image gallery and “Yak Facts” to judge for yourself whether this new figure is worth adding to your collection. New Review is up. This time 501st: An Imperial Command Novel. Check out the review here. JediNews has updated today with confirmation of several new products that have been leaked onto the web these past few weeks. Head on over for packaged and loose images of Luke’s Snowspeeder, the Cloud Car and more all revealed at the UK Toy Fair. The Yakface Toyguide updates resume today with the addition of Darth SIdious from The Clone Wars movie and TV series. HasbroToyShop has updated today with the full details surrounding the exclusive Clone Wars Nahdar Vebb Mailaway figure. Head on over for the complete terms and conditions and download theredemption form to send off for yours today! The Yak Spotlight is back this week, looking at Sideshow’s 1:6 Grand Admiral Thrawn, his Command Chair and Ysalamir. Click here for a review of Thrawn. The Yakface Toyguide updates soldier on with the addition of Clone Commander Stone from season one’s Clone Wars episode: The Gungan General. The Yakface Toyguide updates resume today with the addition of the Talz Chieftain – Thi-Sen from season one’s Clone Wars episode: Trespass. Looks like a prototype of the upcoming AT-AT has leaked on to the web courtesy of a Chinese website actoys.net. Head to the forums for what looks to be a substantial update to the walker. Sideshow has updated today with a sneak peek and the Premium Format versions of C-3PO and R2-D2. Head on over for a look at the progress. Star Wars: The Clone Wars returns tonight with an all-new episode with “Lightsaber Lost”. When a wily pickpocket steals Ahsoka’s lightsaber, she enlists the help of an ancient Jedi to track down her weapon and reclaim her honor. Rebelscum has updated today with photos and details regarding the two upcoming Toys”R”Us exclusive The Force Unleashed Figure Packs. Both sets carry a mix of all-new figures and repainted TFU figures from the 30th Anniversary Collection. Head on over to see what we can expect. The Yakface Toyguide updates resume today with the addition of the Anakin Skywalker (in Cold Weather Gear) from season one’s Clone Wars episode: Trespass. All good things must come to an end (or at least a break now and then)… and with some great timing, Yakface forum member Incom has put together a fun tribute video to Niktom‘s popular fan made Star Wars Comic Strip, Yak’s Pub. Check out the above clip, and be sure to share your thoughts or drop Niktom a line at the officialYak’s Pub site or here in the Yakface forums. $84.99, saving you $15 off the MSRP. Gentle Giant is also producing a bust based on KOTOR character Darth Revan. Wielding red and purple lightsabers, this dangerous Jedi/Sith is priced at $49.99, $10 off the MSRP for the piece. The success of DeAgostini’s line of Star Wars Vehicle lead figures has led to a new line, this time figurines of the characters. 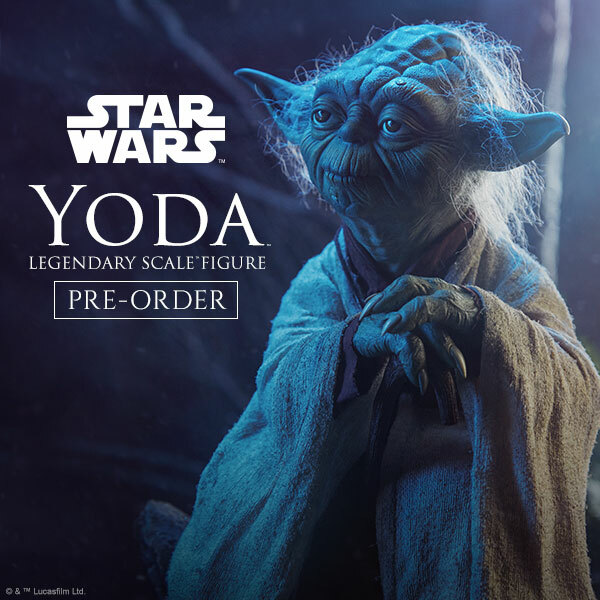 The first two entries are up for pre-order now – Darth Vader and Luke Skywalker are each available as 1/32 scale lead figures, priced at $13.99. With the popularity of the Vehicles, as well as the Marvel, DC and Buffy lines of lead figures, we expect these to go well. This cute new collectible is a 16 cm post box (mailbox) done up as R2-D2. This piece will look great on any collector’s desk, and is listed at $38.99 with a February arrival date. THis new assortment includes Obi-Wan on Freeco bike, Clone Scout with AT-RT, BARC Speeder with Commander COdy and Desert Sport Skiff with Anakin. You can pick up the case of 4 for $69.99, or you can pick your favorite singles, priced at $20.99 – $24.99 each. We’ve also received some of the Episode II Phase I 1/6 scale Clone Trooper. He comes with the standard trooper weapons as well as his detailed armor set with helmet, and a display base. Pick up this figure to swell the ranks of your army, priced at $87.99. This new case assortment includes figures like Willrow Hood, a new versino of Zuckuss, a Bespin Wing Guard, a Concept Snowtrooper and more. We have the case of 12 listed at $99.99, with a set of 8 new figures at $79.99, and individual figure listings at $8.99 – $14.99 each. These assortments include a number of old and new figures, like Clone Trooper Jek, Cad Bane, Matchstick, Yoda, Clone Commander Cody and more. Wave 1 Revision 1 is listed as a case of 12 for $99.99, and Wave 2 Revision 1 is listed as a case of 12 for $99.99, and a set of 5 for $69.99. We also have singles available of most of the figures, listed at $9.99 – $13.99 each. Our friends over at Endor Express have updated with Aurebesh translations from a new Clone Wars billboard which mentions Star Tours…. inviting you to visit Kit Fisto’s homeworld. Check it out here! Today we’ve received a couple small preview pics of the Xanadu Blood and HMP (Heavy Missile Platform), two of the upcoming Clone Wars vehicles that we can expect to see at Toyfair next month. As you can see, the HMP looks pretty faithful to the ROTS deco, while Cad Bane’s fighter looks to have more of a subdued color scheme when compared to the Titanium counterpart. Thanks to our Yarkora spy for his latest intel. Target has secretly been cutting prices on some of their Hasbro action figures this week. You’ll probably notice that these are still in the main toy aisle. There’s only one STAR WARS item that is confirmed at this time, and that’s the Geonosis 2-pks – right now you can pick them up for $6.99. Quite a good buy considering they come with two figures in each set. Of note, you may also want to scan some GI JOE items if you’re collecting that line or looking for some custom fodder, as the first wave of basic figures is ringing up at $3.49 and the Deluxe figures are scanning for $6.49. In case you were reserving judgment on whether or not to drop some coin on these sets until you saw final product photos, I direct you to our friends at Sandtroopers as they’ve added a couple galleries for the Mos Eisley and Hoth Sets. The folks at POTF2 have a few images of the Mos Eisley set in their forums as well. We’ll let the photos speak for themselves. Finally, we’ve received spy report that a “limited edition” figure coming and it is rumored to be Jodo Kast. It is unknown at this time how or when this figure will be made available whether the through the UGH mailaway program or possibly as an upcoming convention exclusive. As always, take all rumors and speculation with a grain of salt as nothing is confirmed at this point. We also received a clarification regarding that Clone Trooper with Heater Pack listing on Sunday. It has been revised to be called “Clone Trooper with Heater Pack / Rex with Heater Pack” so I guess that means a Snow Clone or Rex from the Trespass episode. Not surprising, the leaked prototype images of the Snowspeeder will in fact be Luke’s Snowspeeder and it will ship in the same assortment as the Cloud Car. – Complete with new molding, the AT-AT bigger than ever! – Holds Speeder bike in the rear hatch. – AT-AT Driver figure included. With all the doom and gloom surrounding the Comic Pack line’s future, it’s sad that some of the more interesting figures Hasbro had planned may be hard to track down or not even find their way to retail at all. With that said, there are opportunities to guarantee you will be able to get them on eBay. What are your sentiments on these upcoming figures or the direction Hasbro has decided to take with ending this line? Share your thoughts after the jump! Head on over to the forums and share your thoughts on this figure here. There will be 5 others and each comes with a character figurine. Click on over if you are interested. Since 1977 Star Wars fans have wanted to use the Force, be it squeezing fingers together to imagine choking a despotic boss or waving our hands so automatic doors open at the grocery store. But this was all taken one step further when Uncle Milton released their Star Wars Force Trainer, supposedly allowing Star Wars fans to use their mind to control a floating Jedi Training Remote. Arnie and Marjorie have put this “fun-ducational” toy through the paces, and report back on their findings on this week’s podcast. Also this week, Gentle Giant Star Wars mini-busts seem to never be as coveted as when they are clones or when they are exclusives, and when they are exclusive clones collectors better watch out! The Gentle Giant Republic Commando mini-busts are reviewed on this week’s show. With reviews of Star Wars blasters by both adults and children, a rundown on where to find $25 AT-STs, and more, it’s all this week on Star Wars Action News, so go listen now!! McDonald’s Happy Meal Toys Revealed? The weekend was awfully busy with more rumors and theories bouncing around in forums all over the ‘net. Jedi Temple Archives’ bombshell posting of the Hasbro Star Wars Marketing Schedule revealed an upcoming promotion with McDonalds, presumably another Happy Meal program which got me to thinking – did CorePlanets’ prototypes post back in December reveal these toys? What’s your theory? Make it heard in our forums . The creative “Forces” at Disney and Lucasfilm are proud to announce an all-new character coming to the Disney Parks in April 2010. Every Jedi needs his own Astromech Droid, and Jedi Mickey is no exception. This spring we will be introducing Jedi Mickey’s own droid, R2-MK. This new character is exclusive to the Disney Parks, and he will be available at both Walt Disney World in Florida and Disneyland Resort in California. It will come packed as a Hasbro action figure 2-pack along with Jedi Mickey and will retail for $18.95. What do you think? Is this something you’ll be trying to track down this year? Let us know in theforums. The Yakface Toyguide updates resume today with the addition of the dark brown paint variant for the Target Exclusive Jabba’s Rancor with Luke Skywalker. Head to the toyguide for the full image gallery and “Yak Facts” to judge for yourself whether this version if the Rancor is worth tracking down for your collection. James Cameron’s Avatar just shot past Star Wars as the No. 3 movie on the all-time United States box office charts. However by factoring in today’s higher admission prices, the original Star Wars is still light years ahead of Avatar on actual number of tickets sold. For more, head to Yahoo News. While we complain about overpriced action figures and distribution problems with our Star Wars obsession, many people in Haiti are suffering through real and unimaginable problems. So, instead of buying one of those figures you don’t really “need” how about donating the price of an action figure or two to a worthy cause and it’s as easy as using your phone. Text “HAITI” to the number 90999 to donate $10, which will be added to your next cellphone bill. Or you can text “Yele” to 501501 to donate $5, which will be added to your next phone bill. Also, the Salvation Army is sending 285,120 boxed meals of rice, soy, and vitamins to Haiti. Support the Salvation Army through its website today. The latest Yakfinities Customizing Challenge rolls on with the latest theme, Feral Droids. These droids have gone berserk; killing any sentient being within their cross hairs – check out the early entries and get in the fun after the jump! As always, head to the forums to discuss this newest bit of intel. 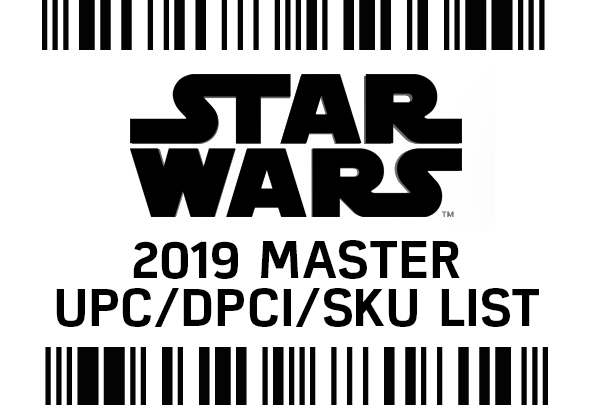 Our friends at Jedi Temple Archives have come across another Hasbro slide and this one has the most detailed information yet as to what (and when) we can expect new product on the shelves. Head on over for the next best thing to “official” confirmation of the AT-AT, Vintage, Galactic Hunt, Boba Fett mailaway and much, much more. Head on over for the complete details then come back and voice your opinions in the forums. We’ve intercepted a new transmission from the Outer Rim today that details a couple new Clone Wars vehicle case assortments for 2010. Expect to see final production versions of the new vehicles listed above in a couple weeks at Toyfair. Until then, weigh in with your thoughts on these new assortments in our forums. The Yakface Toyguide updates continue today with the addition of the KOTOR II HK-50 assassin droid – the Build-A-Droid from the Legacy Collection’s Empire Strikes Back wave. Head to the toyguide to see if this figure is worth trying to assemble and be sure to read the “Yak Facts” to get the full skinny on this figure and how you can build it. The Yakface Toyguide updates continue today with the addition of the Snowtrooper – the final figure in the new Empire Strikes Back wave. Head to the toyguide for the full image gallery and “Yak Facts” to judge for yourself whether this figure is worth adding to your collection again. Head on over to Sideshow to preorder your Princess Leia VS. Jabba the Hutt Diorama and if you hurry you may still be able to get the exclusive version that includes a Salacious Crumb accessory. Click the link above to get yours. The Yakface Toyguide updates continue today with the addition of the bounty hunter Zuckuss – the next figure in the new Empire Strikes Back wave. The Yakface Toyguide updates continue today with the addition of Willrow Hood – the next figure in the new Empire Strikes Back wave. Head to the toyguide for the full image gallery and “Yak Facts” to judge for yourself whether this special figure* is worth adding to your collection. *Many said (and wished) this day would never come so a special congratulations is in order for Scott Pearson as his dream for the “Ice Cream Maker Guy” has finally been realized. We currently have over 1600 items in stock priced at 20% to 90% below our list pricing. 400 Items are priced at 50% to 90%. Here is a great chance to pick up some older and/or overstocked items at a significant discount. This squat vinyl version of R2-D2 takes everything cute about the little robot and magnifies it. He wants to join your collection, and we have him listed at $65.99. Don’t miss out on this 8″ version of Sci-Fi’s favorite robot. We’ve recently got a shipment in of the first wave of Star Wars Legacy Build-A-Droid figures. We have them in both regular and First Day Release stickered versions, and most are discounted as well – check out the available figures at the Legacy Build-A-Droid menu, and fill those holes in your collection, with some bargain prices. The official site has “officially” revealed tonight the new look of Star Wars merchandise for 2010. Head on over to read how the “Clone and Sky” packaging came about with look for the new packaging to start hitting shelves on August 1. The Yakface Toyguide updates continue today with the addition of R2-X2 – the next figure in the new Empire Strikes Back wave. ToyArk has posted yet another Hasbro “slide”, this one details the Galactic Battle Game pack in for select 3-3/4″ Star Wars* figures. – Game will allow kids to compete against one another based on the various power levels of their favorite characters. – The game will increase kids’ knowledge of Star Wars, their engagement with fantasy and add to their play experience. *Interesting that this says “Star Wars” figures and not the Clone Wars line specifically. Does this mean these cards and stands will be packed with OT figures as well? Maybe so, but by the looks of things we’ll find out sooner rather than later. Tell us what you think about this latest development in our forums. The Yakface Toyguide updates continue today with the addition of Luke Skywalker – the next figure in the new Empire Strikes Back wave. If you’ve ever played the game Rebel Alliance you are probably familiar with the Azzameen Family, who found themselves caught in the middle of the Galactic Civil War at the height of the Empire. Our latest Customizer Spotlight pays tribute to these characters and is a bit of a preview for the next installment of the Darkchild photonovel series by forumite julianmaurice. Head on over to the forums and check out his rendition of this family who sided with the Rebel Alliance after the jump! Rebelscum is reporting that the Hasbro/Toyfare Fans’ Choice Winner has been revealed and, save for one character, the top vote getters represent all Expanded Universe characters with Bastila Shanfrom Knights of the Old Republic winning out in the end! The Yakface Toyguide updates continue today with the addition of the Cloud City Wing Guard, Sergeant Edian specifically – the next figure in the new Empire Strikes Back wave. Episode 228: The secret word is: Discount! It’s a new year, and it’s time for a new episode of Star Wars Action News! And this week’s episode is all about collecting in 2010. Various Star Wars collecting websites have been breaking tons of news about Hasbro Star Wars toys in 2010 and what’s new is…vintage? And the return of the Ultimate Galactic Hunt? Plus a giant, $100 AT-AT! Marjorie and Arnie run down the highlights of this news and give you their impressions of what the best news is. Also this week, discounts to be had on Hasbro toys far and wide. From BOGO figures to $25 Rancors to $7 Droid Factory 2 packs. Find out what’s on sale and where by listening to this episode! With a run down of new products revealed online, a segment on what it means to “collect books”, and a review of the all new, GREAT issue of the Star Wars Insider, it’s all his week on the Star Wars Action News Podcast! 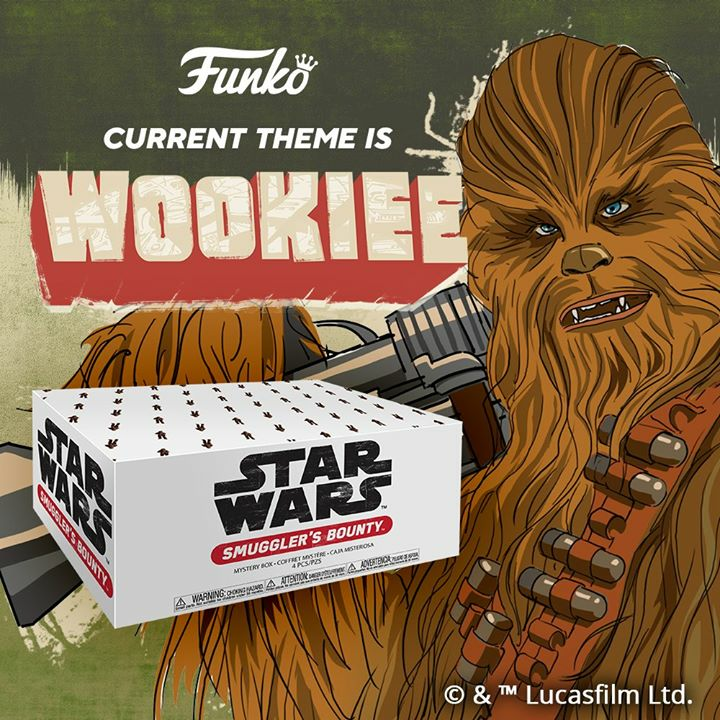 K & C Collectibles has posted some new Star Wars pre-order items this week. We have added 4 additional Official Star Wars Starships & Vehicles Collection from the UK. This amazing collection includes the most authentic models of starships and vehicles, cast in metal with plastic trim parts and accurate hand-painted details. Specialist model-makers have helped to craft faithful reproductions of the ships and machines from the movies, including superbly modeled details of all the parts. Check out thed DeAgostini website starwarsvehicles.deagostini.co.uk for more information on these exciting new Star Wars vehicles. In anticipation of the upcoming Toy Fair next month and the ominous replacing of the Build-A-Droid pack-ins, forumite jokabofe is taking a poll across several fan sites websites asking what everyone’s favorite pack-in has been thus far in the Star Wars toy line. The goal is to present this information to Hasbro at Toy Fair – so if you’d like to make your voice heard, as long as you’re registered in the forums here, you can do so after the jump! The Yakface Toyguide updates continue today with the addition of the AT-AT Driver – the next figure in the new Empire Strikes Back wave. Again, ToyArk has posted some advance imagery – this time it’s the carded and boxed packaging for the look of the Clone Wars. As you’ll see, it sports the new silver and blue “Rex” design as we first reported in November and the carded figures look to have a “Battle Game Card” as a pack in. Head over for a closer look. What do you think? Give us your thoughts in our forums. Collecting Site ToyArk has come through again with more details surrounding new product for 2010 – namely the much rumored return of the Vintage style carded figures. Also look for details regarding a mailaway for a certain bounty hunter as well! Head to ToyArk for the complete lowdown. The Yakface Toyguide updates continue today with the addition of Joe Johnston’s Concept Art Snowtrooper – the first figure in the new Empire Strikes Back wave. Next time you head to Wal-Mart for a toy run, you might see an unpleasant price increase on the Comic Pack line. At least two different Wal-Marts in the St. Louis area have raised the price to$14.88 each. Not good news for a line that has been packed with questionable figures lately and is already scheduled to be canceled by Hasbro. The Yakface Toyguide updates continue today with the addition of Clone Commander Deviss – a repaint/repack figure slotted into the A New Hope themed wave. Head to the toyguide for the full image gallery and “Yak Facts” to judge for yourself whether this figure is worth adding to your collection – again. We are very pleased to announce a new feature for all the customizing fans out there – Customs & Answers! As the Star Wars galaxy continues to expand, so do the ideas of the fans; which is one of the reasons customizing continues to be a fun aspect of the hobby across the board. So starting this year, from time to time a guest customizer will be selected to answer questions about the hobby, and offer tips to the rest of the customizers on the forum. And we’re kicking our first session off with a Yakface Forums favorite, and someone who needs no introduction to a lot of our readers… Sithfire30! So kick back and enjoy some helpful tips and previews of upcoming work from one of the greatest customizers in the hobby after the jump! For all you Indiana Jones movie buffs and collectors. Sideshow Toys has a new Pre-order starting today at 1PM EST. The Yakface Toyguide updates continue today with the addition of Boba Fett – a repaint/repack figure slotted into the A New Hope themed wave. The Yakface Toyguide updates continue today with the addition of Senator Padmé Amidala – a repaint/repack figure slotted into the A New Hope themed wave. Hi – Here is a quick update from bigbadtoystore.com about a variety of new arrivals and preorders. This powerful later leader of the Empire (or a splinter of it) in the Expanded Universe has received his own 12″ figure courtesy of Sideshow. This figure incluedes a full cloth costume with all sorts of details, along with a Ysalamiri, a gun and a base. Show off your logic skills and pick this one up, priced at $77.99. This 18″ tall Legendary Scale bust of Commander Cdy has him in his dirtied yellow and white armor, clutching a hologram projector with a light-up hologram of Emperor Palpatine. We’ve got the Commander of the 212th Attack Battalion listed at $279.99 ($20 off the MSRP). Brian’s Toys: Not Too Late To Save $15!! Offer Expires Soon! The Yakface Toyguide updates continue today with the addition of the combat droid YVH-1 – the Build-A-Droid from the Legacy Collection’s Revenge of the Sith wave. The Yakface Toyguide updates continue today with the addition of the Commander Bacara – the next figure slotted into the Revenge of the Sith themed wave. Head to the toyguide for the full image gallery and “Yak Facts” and judge for yourself whether this figure is worth adding to your collection. The Yakface Toyguide updates continue today with the addition of the Stormtrooper – the next figure slotted into the Revenge of the Sith themed wave. Head to the toyguide for the image gallery and “Yak Facts” for this army builder and judge for yourself whether this figure is worth adding a few more to your collection. Win A Life-Size Bust of General Grievous! Our friends at Yoda’s News have kicked off January in a BIG way by offering a chance to win a Life-Size General Grievous Bust from Sideshow Collectibles. Head on over to find out how. The Yakface Toyguide updates resume today with the addition of Plo Koon – the next figure in the Revenge of the Sith themed wave (wave 11). Head to the toyguide for the image gallery and “Yak Facts” to judge for yourself whether this figure is worth adding to your collection. Yakface is proud to support Collectors Versus Cancer, which intends to raise cancer awareness in the Star Wars community and help generate revenue for the American Cancer Society. There is a customizing theme tied to this, so if you’ve participated in a Yakfinities Customizing Challenge before or have tried your hand at making your own figures and want to help out a good cause, see how you can participate after the jump! Reports are coming in that the TPM wave, which many of us had a hard time finding at all are showing up at many Wal-Marts in Buy-One-Get-One 2-pks. 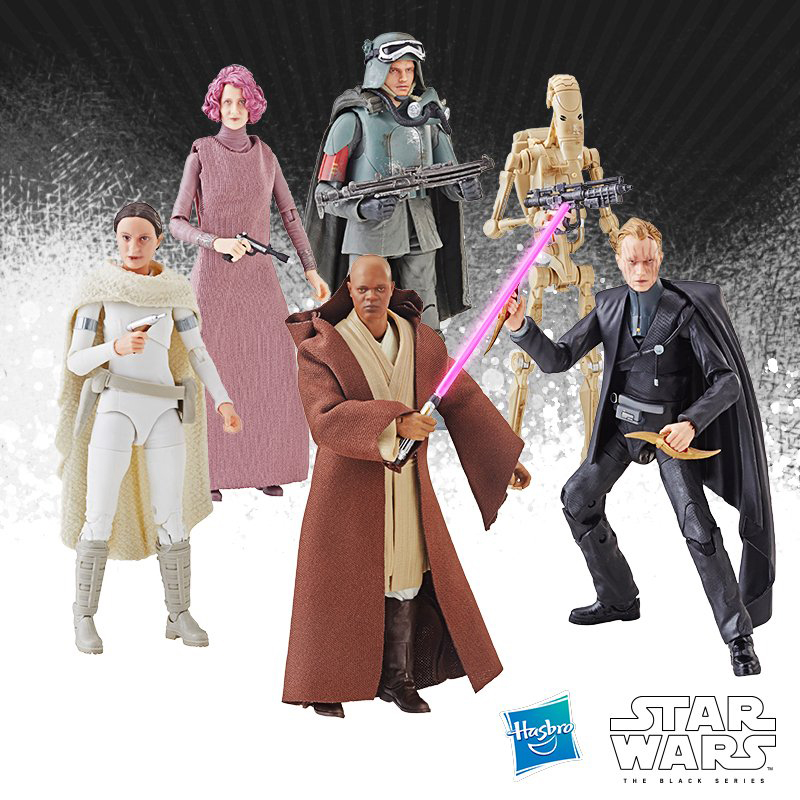 It sort of stings if you made trip after trip to your local retailers looking for this awesome group of figures with little to show for it while Clone Wars and Legends waves repeatedly made it to the pegs… only to find out this great Legacy wave is now showing up in a discounted fashion. Hopefully in 2010 Hasbro will get its distribution quirks worked out, but in the meantime if you find these or any other Legacy figures at such a great deal, you might regret it later if you pass them up. Be aware however that if you try and separate the packaging, you will most likely destroy the cards – but if you’re an opener, these packs are definitely for you! Yakfinities Customizing Challenge #33: Feral Droids! The first Yakfinities Customizing Challenge of the new year has begun and kicks off with Feral Droids! So… what are Feral Droids? According to legend, they were droids that would kill sentient beings. These droids resided in an abandoned factory district on Coruscant and it was believed they had fallen victim to a virus that altered their programming; turning them into brutal killing machines. Whether you’re new to customizing or an old veteran, get in the action and join in the latest Yakfinities by creating your own menacing droid killer after the jump! The crew at BanthaSkull.com have posted a rather revealing list of DPCI numbers for Target. Highlights include a “Vintage”, “RC Hailfire Droid”, “Super Deluxe Vehicle” and “Mandarlorian Helmet”. Head on over for the complete list and a glimpse at the future. Heads up! Sideshow Collectibles has revealed through today’s “12 Days of Sideshow” update, an all new polystone diorama depicting Leia vs Jabba the Hutt! Head to Sideshow for a video sneak peek! Over at LEGO.com they have in two brand new sets for order..
For your viewing pleasure, our friends at Jedidefender have revealed some more prototype pics of upcoming vehicles in the Hasbro lineup for 2010. These are some rather nifty new pics showing quite a bit more detail on these vehicles – head on over and check them out after the the jump. Our friends at Sandtroopers are reporting that the next pack-in for the Hasbro “Legacy” basic figures could possibly be collectible badges. Head over and prepare to be underwhelmed if this turns out to be the case. UPDATE – efranks at the Rebelscum forums posted a photo this evening that might put this to rest. 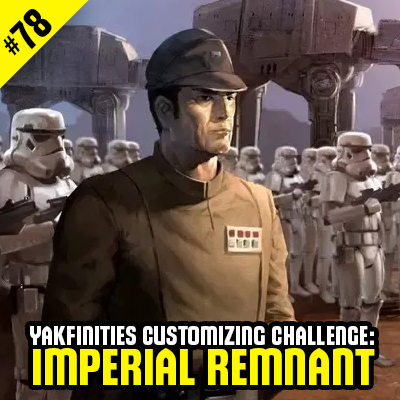 The latest Yakfinities Customizing Challenge has just wrapped up, and was one of the best to date. 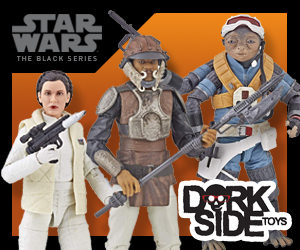 Head on over to the forums and check out 24 all new custom figures created by Yakface readers, all with a Light Side vs Dark Side theme, and see who the lucky winners of some new figures are after the jump! From the entire staff here at Yakface.com, we would like to wish a Happy New Year to you – our fans, families and friends. We would also like to thank you all for your patronage over the past year and we hope you continue your support for the new year and beyond.